Around the age of 14, I read many books from a Swiss lady who wrote about the experiences she had, helping street children in Brazil, to have a better life. I was shocked to read how miserably some children have to live and fascinated by how much change such a young lady could bring in disempowered people's lives. I hoped one day to be able to do the same. This thought I always kept in mind and the wish grew stronger throughout the years. Growing up in one of the richest countries in the world, I more and more wanted to get rid of what people here value the most: Materialism. I felt like losing the sense of real value in life while being blinded by superfluous money. Therefore I decided that after graduating from High School I would go to Africa. I wanted to go to a really poor country, to see a completely different life style. Since we are all living on the same planet, I felt that at least I should know how other people are living in other parts of this earth. Furthermore, after being a student for so many years my desire was to do something practical for the service of others. In this way I was hoping to bring a change in the lives of many people. Upon my arrival at Ndola airport I was given a warm welcome with songs and flowers from the pupils from Mackenzie Community School, where I was going to work. In Mackenzie 7'000 people are living without electricity and without running water. Thanks to a 'feeding program' all the children can have two meals a day. Without this humanitarian project most of them would have no food. The Mackenzie Community School has two classrooms. 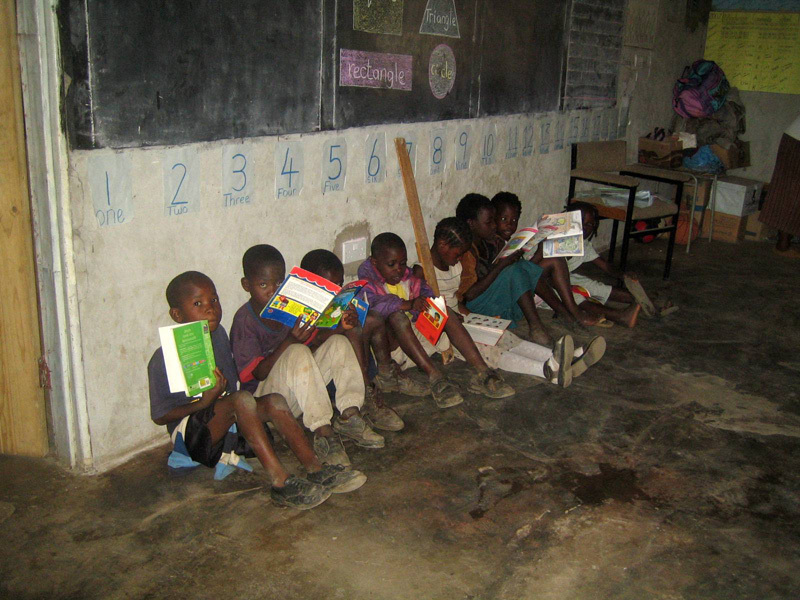 350 pupils are under the care of three voluntary teachers. 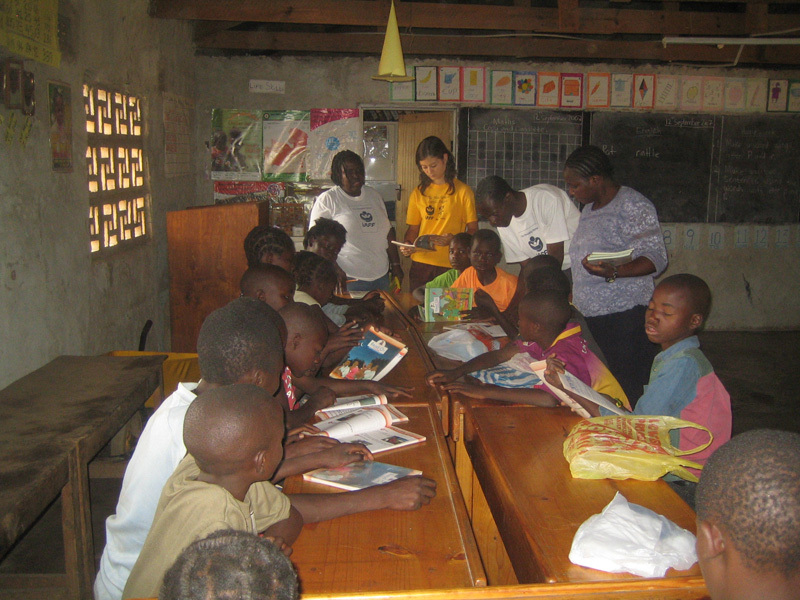 Several times a week I joined in their tremendous effort trying to teach the children to read. This was not an easy task since many of them are undernourished and therefore cannot concentrate in class. I was deeply moved to see how someone like those teachers who themselves struggle so hard to survive, have the heart and will to teach for free. They invest so much time and energy to pass on their basic knowledge to children, whose parents have no money to send them to government schools. With Papa Nicholas' only laptop I could teach the basic functions of a computer to several students and teachers from Mackenzie, who had never seen a computer before. Many of them could not believe that those lessons were free of charge; it was simply an impossible dream. At first I did not understand the purpose of these lessons, but seeing some people walking for hours under unbearable heat to attend the lessons, I realized that for them knowing how to use a computer even at a very basic level meant hope for a job and opened a window out of their poverty. 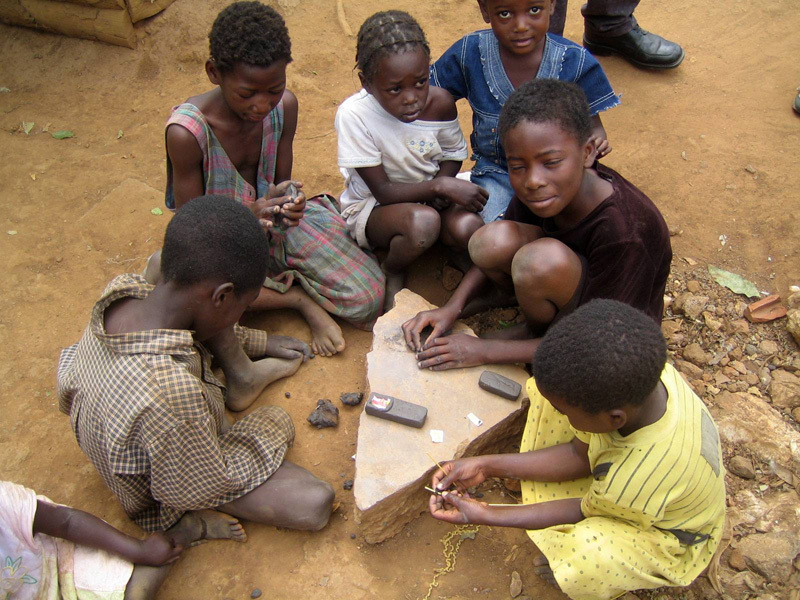 Their poverty, I did not really understand. Therefore we started a little project that was really precious to me: One by one the students overcame their embarrassment and welcomed me into their humble world. Twice a week Papa Nicholas and I took the path into the heart of Mackenzie Community and visited students' homes. I was astonished to see that a home could be four walls out of mud with holes by way of windows and doors, with a corrugated iron roof covered with stones to resist strong winds, a few square meters which serve as a living room, kitchen and bedroom for a large family. A hole nearby the house is used as a toilet. It is needless to say that these students often deny living in this Community. Therefore, for them to let me into their private home was a big step. From both sides it was a great challenge; we had to overcome shyness, embarrassment, feelings of resentment, prejudice to finally break the walls of social differences and come to the point that no matter where we come from, in our hearts we are one. 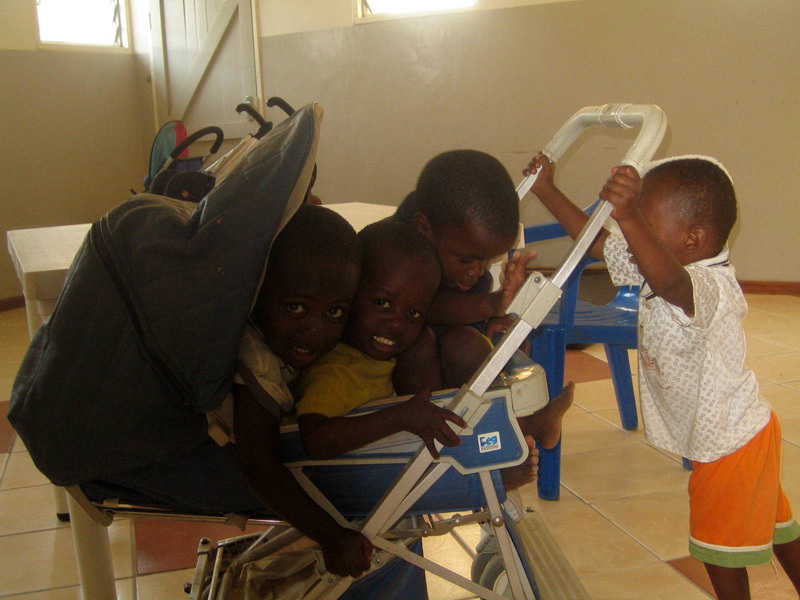 Another activity which really moved my heart was working in an orphanage. There, 117 children aged from birth to 13 years old, are being taken care of, by 12 adults. Some have been abandoned by their parents, because they were sick and others lost their mothers at birth. 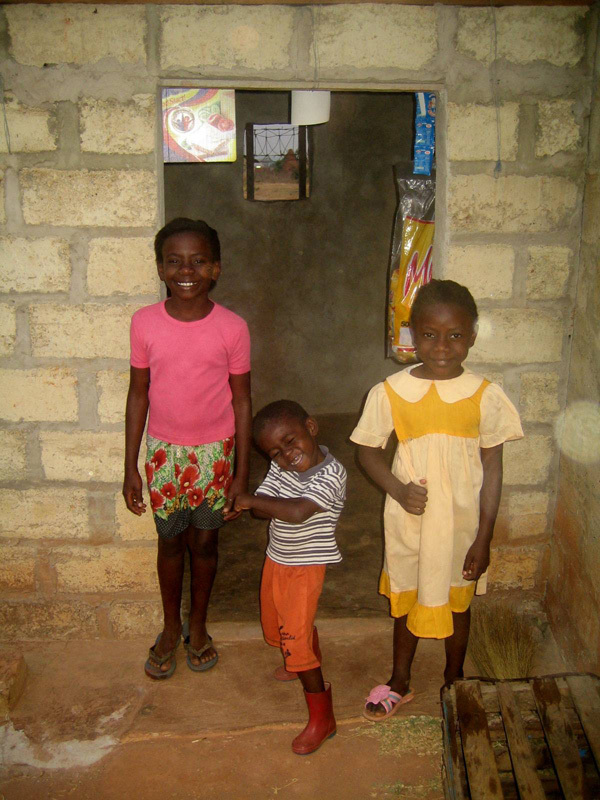 Many children arrive at the orphanage undernourished and some are HIV positive. On my first visit to this children's village I was surprised to be suddenly surrounded by so many happy faces and little arms reaching out to me in hope to come into my arms. Right away I fell in love with all of them and for the first time in my life I heard someone calling me 'mommy'. There I did all the little jobs a mommy does: cooking, changing nappies, feeding the babies, ironing and of course playing with the children. The days were long and exhausting, but at the end of the day I got back so much more than what I gave, therefore I would have enjoyed to be with them even longer. Feeling how much the children need you, you realize that their greatest lack is the lack of love. There were moments where I felt overwhelmed by the endless needs I saw all around me. Even I doubted that all my efforts would bring a change in the people's lives. How foolish of me to think that I could deal with such big problems. But Papa Nicholas often explained to me how small things can have an unexpected great impact on people's lives. Once he told me that when I greet the children on the street or even just wave to them, they will have joy for the rest of the day. Another time as we walked through Mackenzie Community he mentioned how the people there often feel forgotten from the government who never keeps its promises. With every sunset they disappear in the dark of the night ignored from the rest of the world. Seeing a white person walking in their streets is for them a sign of hope that somewhere, someone cares. Actually I felt in many ways that the people were caring much more for me than I cared for them. The few biscuits wrapped in a small plastic bag I received from a student for my birthday was such a deep expression of the most giving heart. 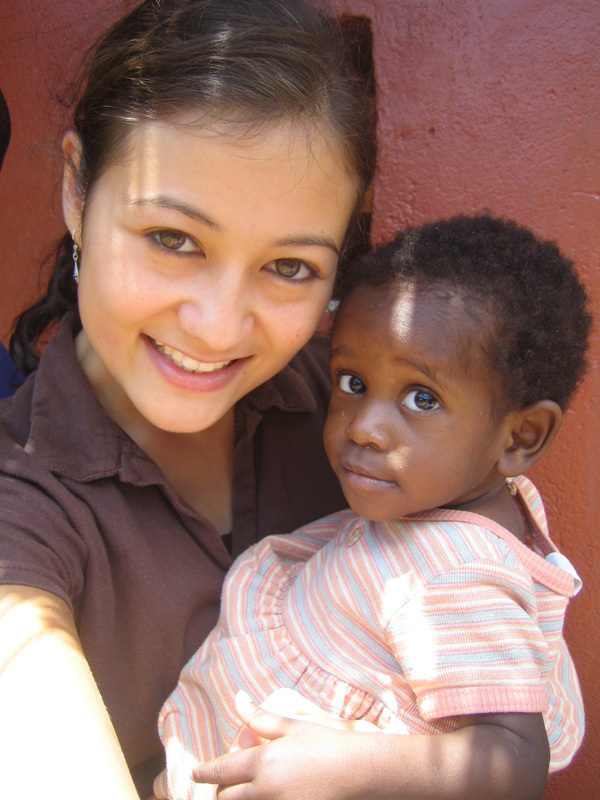 Going to Zambia was realizing one of my big dreams. It would not have been possible without all the help and support from my family in Zambia. Thanks to Papa Nicholas who could face any situation no matter how difficult and challenging with a contagious laughter. Thanks to Mama Antoinette for her motherly concern. With my little sister Anna I learned a bit of Bemba and washing the dishes with her was always very exciting even though we feared so much to see a chongololo crawling into the kitchen. I often heard my little sister Stephanie laughing in her sleep, but sometimes her laughter turned into a howl when a cockroach dared to walk on her pillow. With my little brother Nico I could be a kid again. He was my bodyguard. With him I could safely walk outside the gates.